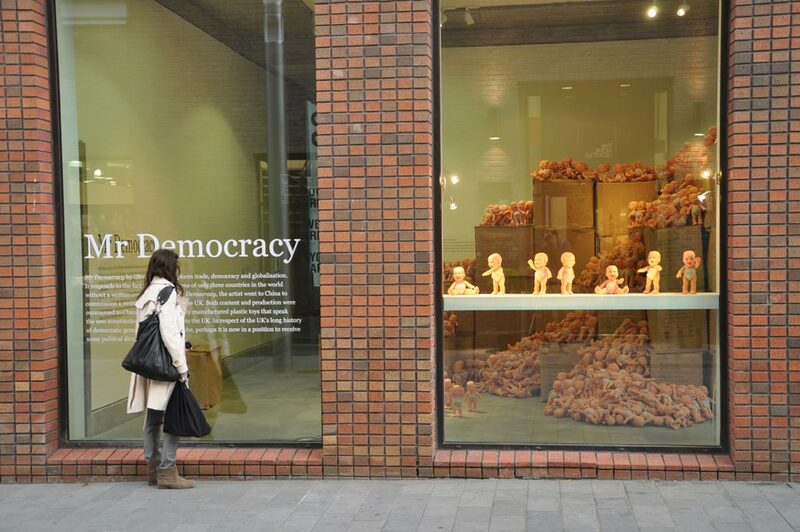 Mr Democracy explores trade, democracy and globalisation. It responds to the fact that the UK is one of only three countries in the world without a written constitution. 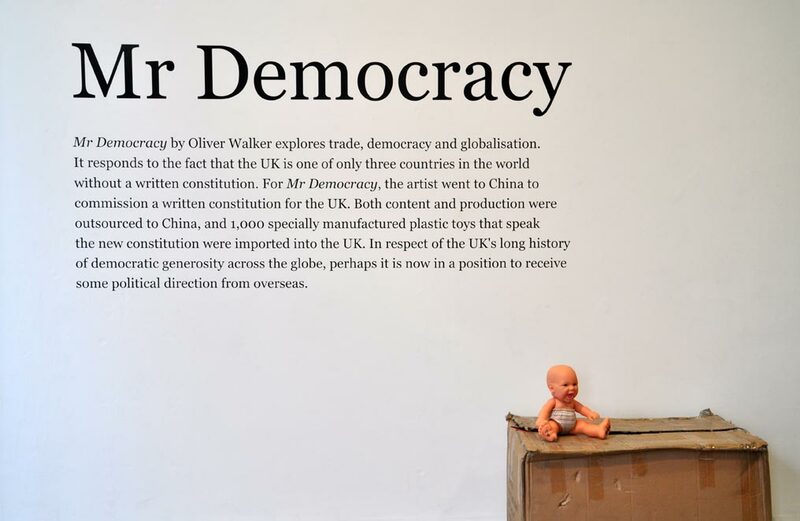 For Mr Democracy, the artist went to China to commission a written constitution for the UK. 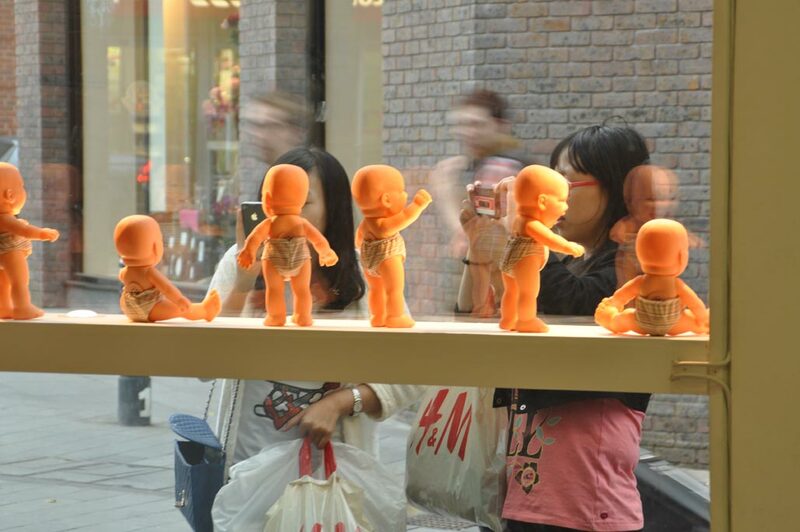 Both content and production were outsourced to China, and 1,000 specially manufactured plastic toys that speak the new constitution were imported into the UK. In respect of the UK's long history of democratic generosity across the globe, perhaps it is now in a position to receive some political direction from overseas. 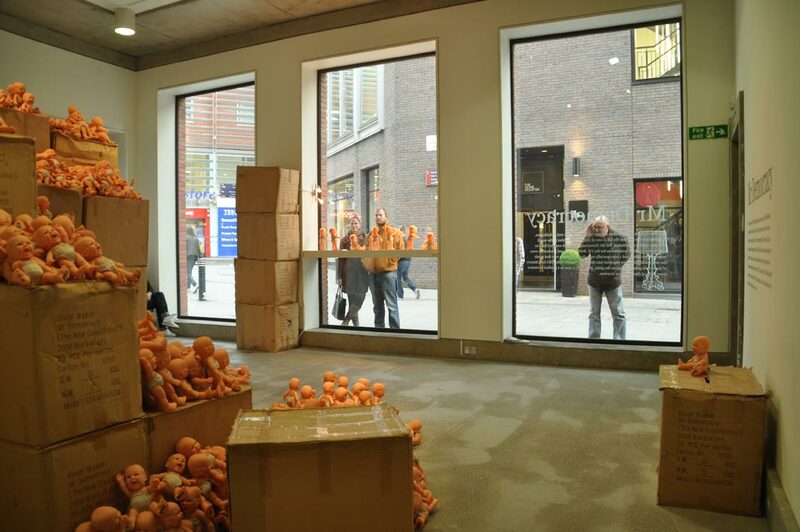 The project was first shown in 2008 at The Royal Standard in Liverpool. 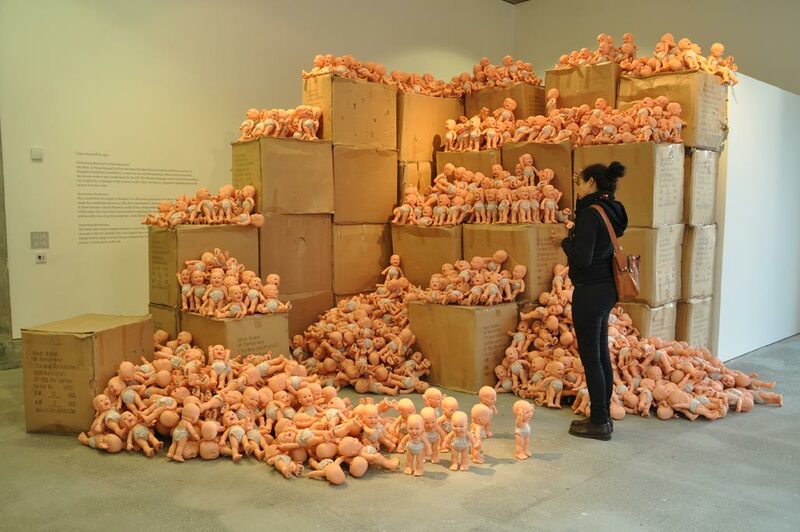 The project was consequently shown in the Bluecoat in Liverpool, in late 2011, and in Laznia Centre for Contemporary Art, Gdansk in early 2012. Hu Chan, Li Fang Feng and Lu Yue Hua from the East China University of Politics and Law in Shanghai drafted the constitution. A brief was set and discussed and, after extensive research, the lawyers wrote a new constitution for the UK. The Chinese language version was then translated into English by a colleague of the writers. In this video, the lawyers respond to questions about the project from the artist. 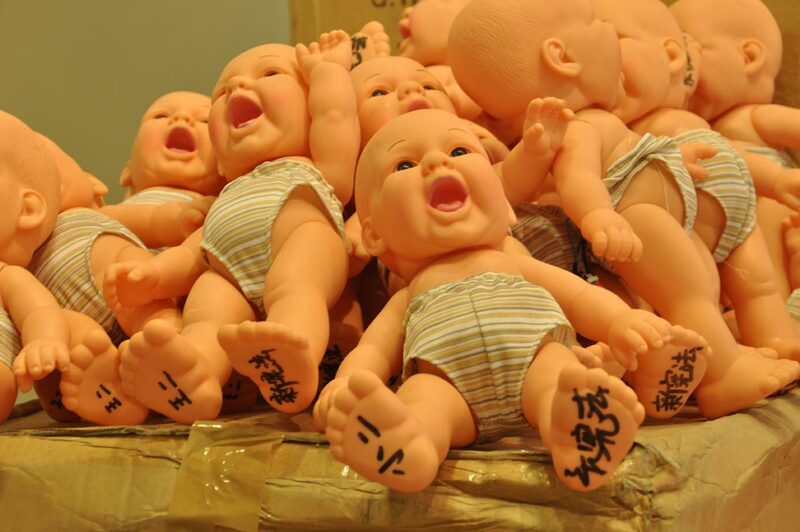 The constitution developed in Shanghai was then mass produced in the form of 1,000 dolls which speak the constitution (known as The New Constitution) when pressed. 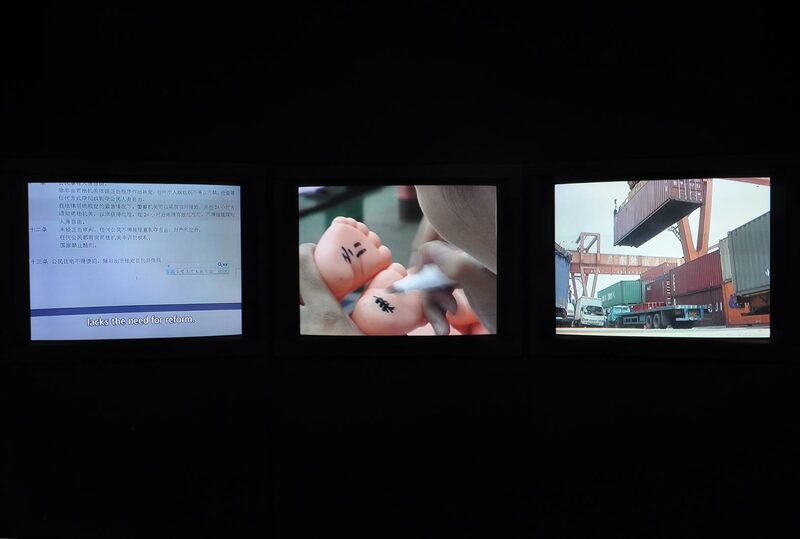 This video documents work in three factories: one (in Shantou, south China) which produces the plastic molded toy, a second which makes the voice chip/circuit board for speaking the constitution, and a third which installs and tests the voice chip (in Guangzhou, south China). The third video shows images recorded in two of the three ports through which the goods passed en route to the UK. 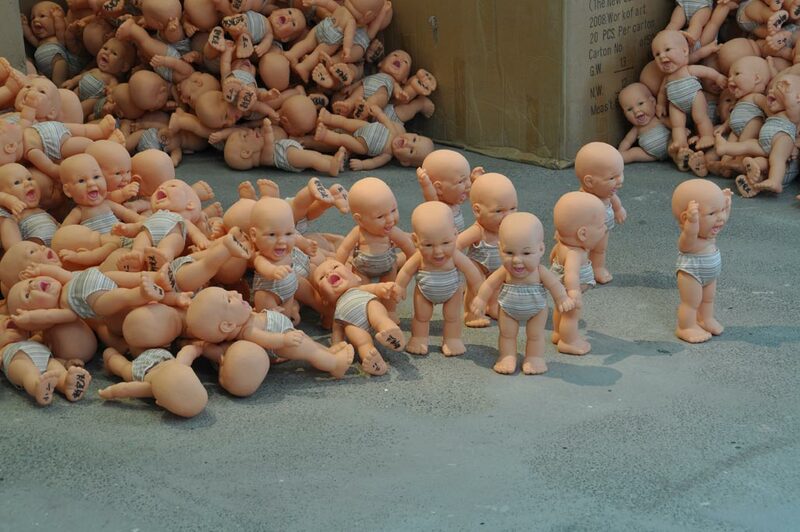 Initially they were packed into a container in Huang Pu port in Guangzhou, then transported by barge to Kwai Chung container base in Hong Kong, where they were loaded for the journey to Felixstowe in the UK.